What's on offer? Food, friends and plenty of themed fun! We make yummy, nutritious food in a friendly atmosphere where children are encouraged to get stuck in (sometimes literally!) to what's on their plate. We create the recipes, they make the dishes, you all get to enjoy eating it at home! Alongside our guidance in the kitchen, we also have loads of fun games and activities planned while the goods are in the oven. Every day we make different recipes and previous themes include Roald Dahl, Harry Potter, Pirates of the Caribbean. 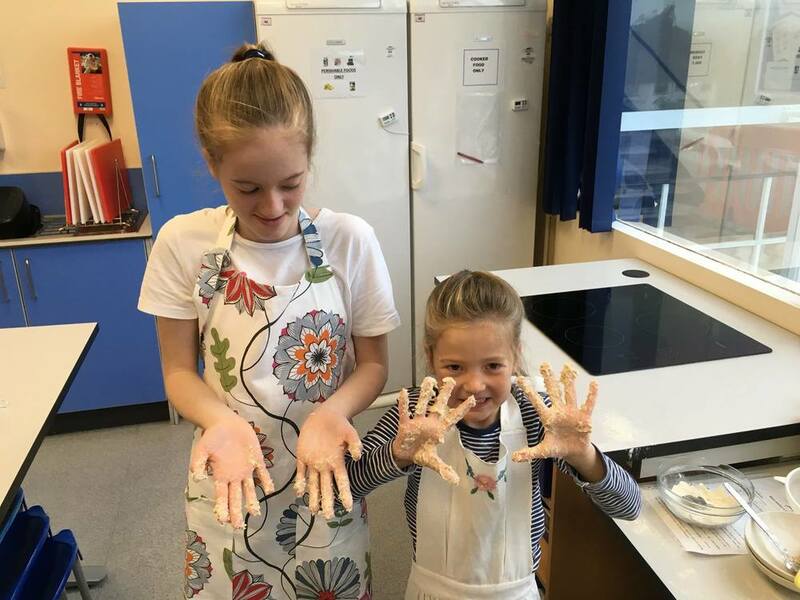 Suitable for ages 5-12, our workshops are led by fully trained, friendly staff who lead the recipes, help children to learn how to handle kitchen equipment safely and encourage all little chefs to get stuck in to making their very own dishes! We also like to discuss topics relevant to each recipe, such as nutrition, history and culture. Standard drop off is at 9:00am and we finish at 3:30pm. We also offer an Extended Hours package that allows you to drop your child off from 8.00am and collect them before 5.00pm. Please note that Extended Hours is a wraparound care option for parents requiring earlier/later drop off - we play games and enjoy craft activities but it does not include extra cooking time. Children are required to bring their own packed lunch/snacks, an apron and a big container to take their goodies home in. We supply all ingredients, equipment and entertainment for the day. We also cater for children with allergies and dietary requirements at no extra cost (we do however ask for at least a week's notice so we have time to source additional ingredients - please just complete the relevant section of the form whenever you make a booking, even if you have joined us previously). Wherever possible we endeavour for all attendees to make exactly the same recipe, so nobody is left out and we all have the opportunity to learn about different dietary needs. Please get in touch if you'd like to talk over your child's requirements with a member of the team. This is our venue for Thirsk and the surrounding areas. This is the newest of the Stir Krazy venues and we've been cooking here since October 2016! One of our newest Stir Krazy venues, situated in Ilkley. Our workshops had a flying start in Summer 2016 and we're delighted to make it one of our regular venues. This venue is wheelchair accessible. This is our established Stir Krazy Kids workshop venue for Harrogate. Join us once more in 2017! Situated in Harewood, this is the Stir Krazy base for Leeds and surrounding areas. Join us once more in 2017! This venue is wheelchair accessible. This is one of our newest venues, situated in York. Our workshops are suitable for boys and girls aged 5 - 12.